After KCMG gave the 2018 Nissan GT-R GT3 its global debut last weekend in Blancpain GT Series Asia, this weekend is set to be a big one for the RJN Motorsport squad over in Europe. 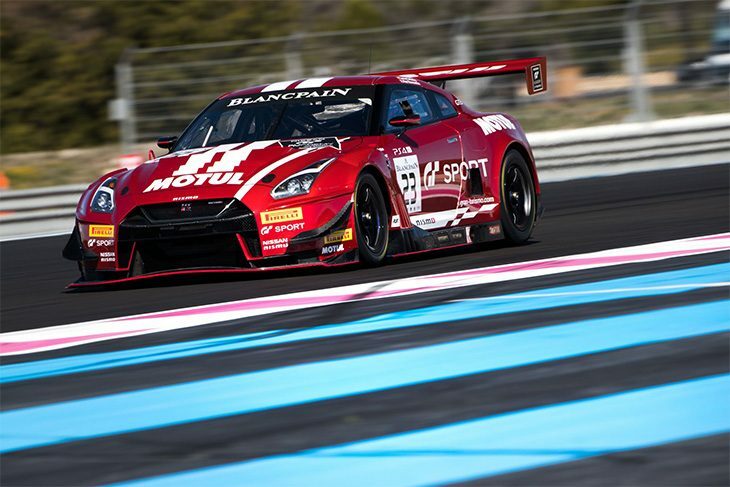 Bob Neville’s team, which continues to represent Nissan at the top level of GT3 racing, will hope to write another stand-out chapter in its history racing in Blancpain this year, putting the new ‘Godzilla’ to the test in the Blancpain Endurance Cup. The teams and drivers have already assembled in Italy for the season opener at Monza, where RJN will race the new car for the first time on Sunday. It’s fair to say that the new GT-R GT3 has a lot to live up to, after its predecessor scored wins around the world, including a famous overall victory at the Bathurst 12 Hour in 2015, and the Blancpain Endurance Cup championship later that same year. 24-year-old NISMO Athlete Matt Parry is a big part of Bob Neville’s team’s big 2018 push. Driving in the #23 car, which is gunning for PRO class honours with the new model, he feels confident, and was keen to tell DSC that despite it being a real challenge emigrating from single-seaters to GT3 racing with Nissan, he’s fully up to speed after only a year in his new surroundings. In the car with him this season, are two top-class talents: Alex Buncombe, and Lucas Ordonez, who like Parry, believe that RJN will be a force in the 24-car PRO category up against a slew of tried and tested GT3 cars, as well as the new contenders from Lexus and Bentley. Parry stressed that despite the car’s obvious similarities aesthetically with the older car, the strides made are significant. 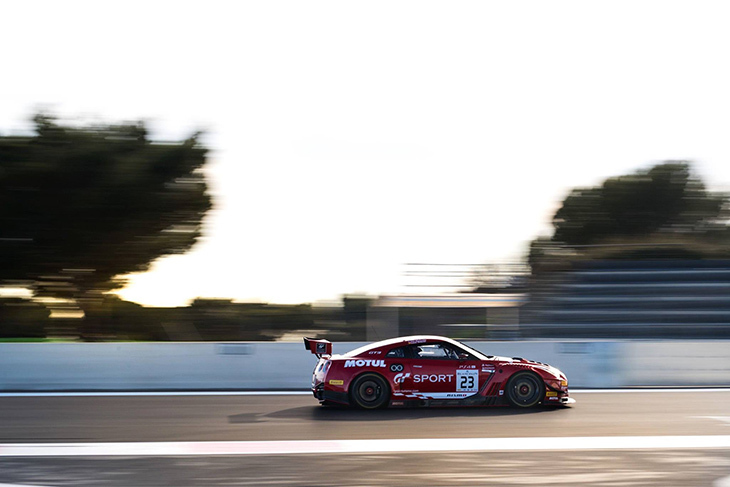 The new GT-R, should better suit the circuits on the Endurance Cup calendar, as gains have been made in high and medium-speed turns due to the car not being so front-heavy. 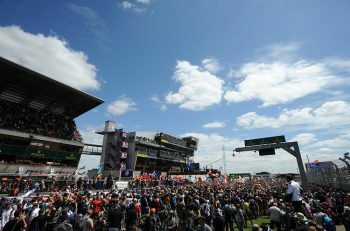 “The initial thoughts at Paul Ricard for the BoP and media day were great. It’s a huge jump up in terms of the balance of the car, the high speed, medium speed corners. In the four years of development it’s come a long way. “Everything has been improved. Traction control, the electronics, ABS, the whole system is different. Even the engine position is different. And that might be the biggest change to be honest. “The 2015 version was a front-engined car, and the new one has been moved much further back, and lower, so it’s mid-engined. It means we have a better centre of gravity, and a modern Blancpain car, that feels up to date. This year’s PRO class in Blancpain Endurance (24 cars strong for Round 1), which has been capped in 2018 to ensure that the series respects its Pro-Am roots, and to curb the increasing amount of works-backed cars on the field. For Parry, it’s still a grid of real quality though, full of drivers he’s eager to put himself up against. Another change that’s significant, he explained to DSC, is the new qualifying format, which should prove popular with the drivers. 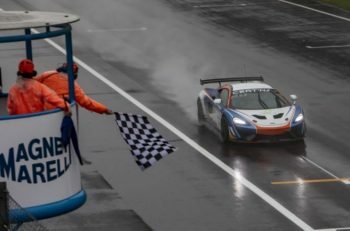 This year for the first time, Qualifying for Endurance Cup races will feature all three drivers taking to the track, the combined average of their times deciding the grid. “The change in qualifying format this year where all three drivers will produce an average lap time will make it even tougher. It’s not down to one driver, it’s all about the team now, everyone needs to push and perform to their max. You see the grid and the names on that grid, it’s got a huge amount of depth. As it stands, Parry’s only commitment on-track is with RJN in the Endurance Cup, but its set to keep him busy. 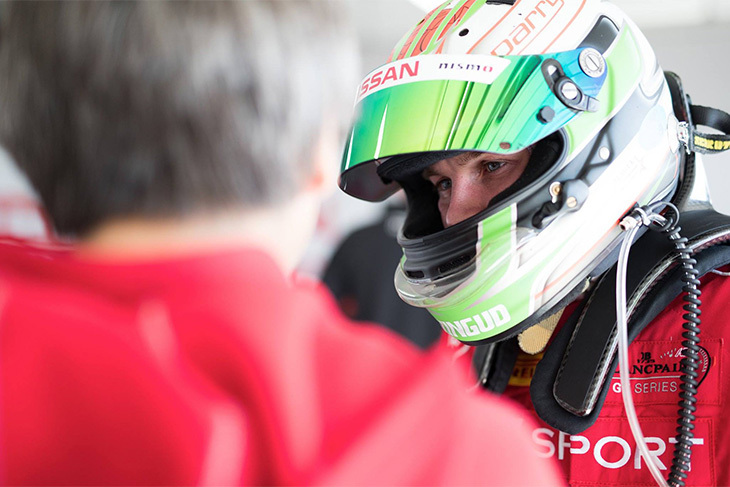 As an RJN driver and NISMO Athlete, he’ll be doing a lot of work behind the scenes, not just preparing for the races, but also, working with sponsors and backers, helping promote the programme. “We all know that motorsport is such a volatile sport as a driver and as a professional. It may sound boring, but I want to just put my stamp on this, whether that means I become a successful Blancpain driver or move elsewhere, I want to look back and say I was hugely successful in endurance racing. It’s hard to say where the path will lead, and you never know what opportunities will come round.